The world is set up wrong. We know this now. 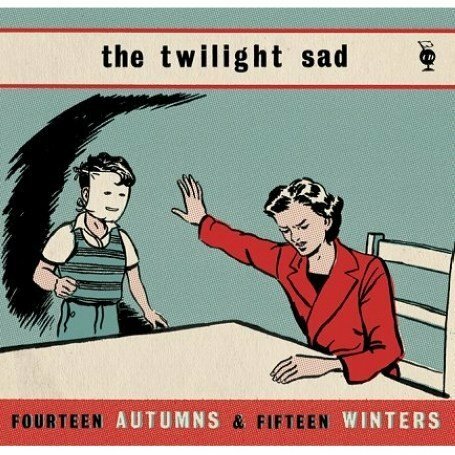 While Glasvegas gallivant around the globe, filling stadiums with their sing-along dogshite nonsense, another group, The Twilight Sad, should be in their place. But in twenty years' time that will be irrelevant because the latter's debut LP, Fourteen Autumns and Fifteen Winters will far eclipse anything the sunglasses-indoors-wearing poseurs will ever release – it's quite simply one of the best albums of the decade. I was late to The 'Sad and the LP, only really getting into it after seeing them perform The Arches in December 2007. What first struck me about them was the colossal sound and Andy MacFarlane's huge guitar, which sounded like light-echoes in space collapsing on top of one another then being dissolved by the atmosphere. That and, y'know, they came onstage to the Home Alone theme! It's only when you let the album breathe on your stereo that the shadows of James Graham's floaty lyrics creep in and start to dance around the mind. I love the image of a rural Scottish hotel owner "with woollen plans" going through a romantic/personal crisis under a perpetual red sky at night. And who are the kids on fire? And why are they "standing outside and looking in"? And is there really a song (as rumoured) on the LP that chillingly but subtly references the memory of the Dunblane massacre? Is Graham quietly dissecting the monotony of small town existence and the sinister secrets that lurk in Central Scotland's recent past? He'd probably say no and our interpretations will undoubtedly be different from his, but like all great lyricists he never gives away too much – and that's important: the interpretation is open and the mesmeric rhythm section of Orzel and Devine along with MacFarlane's spacey guitar complement the exposition. The album came about at the right time too. The old guard of the Scottish indie set were becoming complacent and bored, no new ground was being covered and no progressive steps were being taken to create anything genuinely refreshing (with perhaps the exception of Aidan Moffat's Lucky Pierre and Boards of Canada's Geogaddi). It took four guys from a wee village North of Kilsyth to breathe new life into a stagnating scene. Four guys who referenced Wilfred Owen and Edward Scissorhands and wondered what it would sound like if they mixed Godspeed You! Black Emperor with Arab Strap and MBV guitar swells. We made a video in September and despite their sombre media appearance, they arrived after trudging through fifteen minutes of mud and rain, smiling and laughing and sat patiently next to a fire that was belching out green toxic smoke. We are lucky to live in their time. 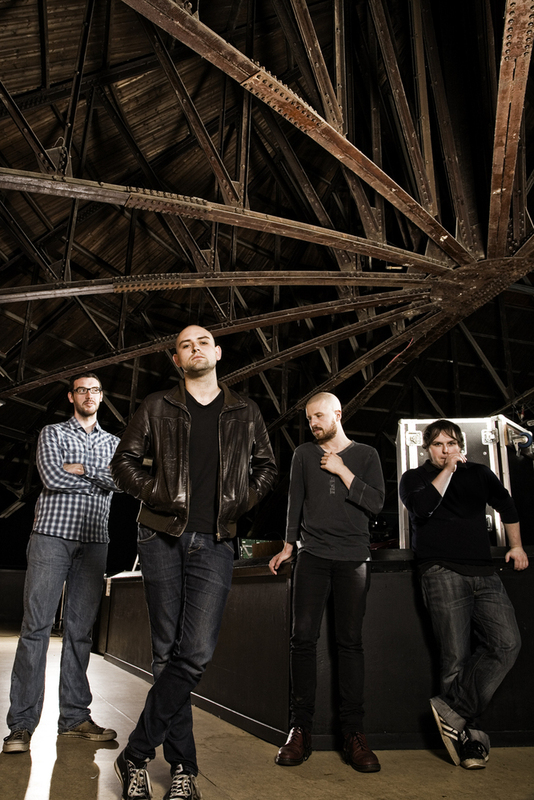 The Twilight Sad play The Skinny's free acoustic session at Avalanche Records, Cockburn Street, Edinburgh at 1pm on 15 Dec. Get there early to avoid disappointment. They also play The Voodoo Rooms, Edinburgh on 15 Dec and Nice 'n' Sleazy, Glasgow (SOLD OUT) on 16 Dec.